Guestline, the leading supplier of hospitality software solutions, are delighted to announce a new partnership agreement with Tierney’s, a leading independent IT solution provider, to promote and sell their systems across Ireland. Tierney’s provide a complete range of IT products, support and consultancy services within the hospitality and SME sectors. With over 25 years’ experience, Tierney’s understand hotel’s IT requirements and can advise them on the most relevant solutions that owners and operators need to gain the maximum return from their IT investment. Guestline are experts in revenue generating software technology, providing a range of property management, channel distribution and digital marketing solutions to hotel groups, independents and serviced apartments. Following on from Guestline’s recent system installation at Sheen Falls Courtyard in County Kerry, Ireland (part of The Gleneagle Group), the software company are keen to extend their presence across Ireland. 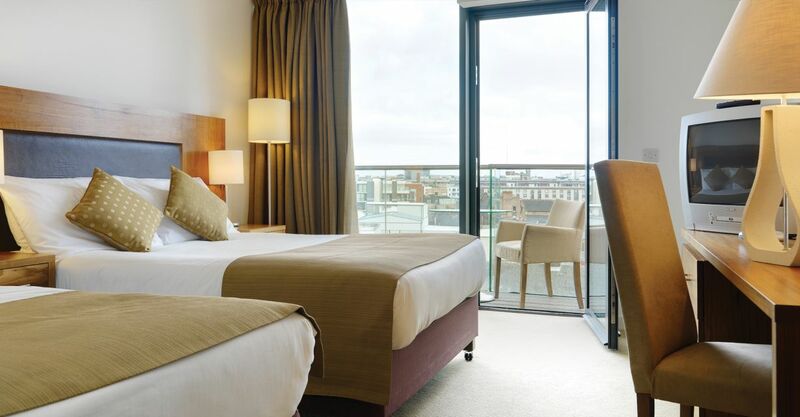 Tierney’s already work with a number of large independent hotels and groups; their client base includes the Dalata Hotel Group PLC, The Green Isle Hotel, The Cusack Hotel group, The Landmark Hotel and Kelly’s Resort Hotel and Spa. Tierney’s will represent Guestline and demonstrate how hoteliers can manage and market their multi-site property portfolios, achieve maximum occupancy at the most profitable rate and achieve PCI compliance. With over 1500 clients across five continents, Guestline’s cloud based software is proven to reduce operating costs, reduce the risk of credit card fraud, improve integration with external interfaces, provide real-time updates and multi-property functionality and improve RevPAR and occupancy. Contact Tierney’s today for a free demonstration.